European stock markets saw a severe downturn Tuesday as trade conflicts weighed on sentiment and US investors also sold shares on their return from a long holiday weekend. 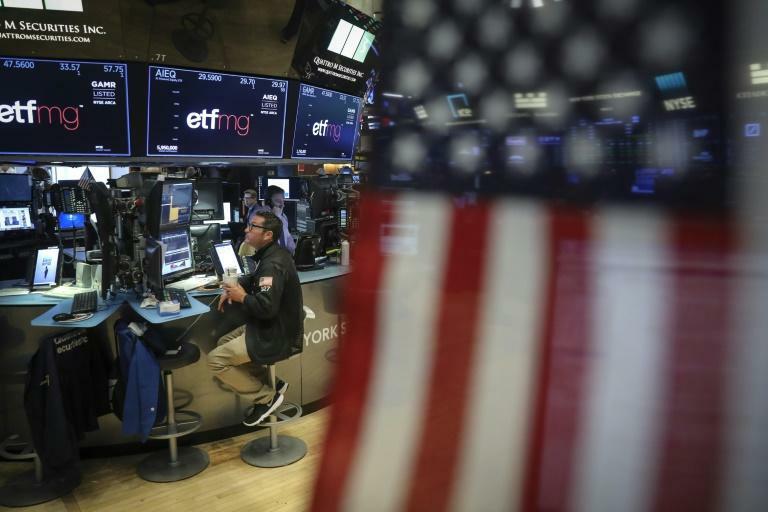 "US stocks are lower in early action, returning to action following the long Labor Day holiday break, with global trade and geopolitical concerns appearing to dampen sentiment," analysts at Charles Schwab said. Earlier, Asian equities mostly rose following recent falls but investors moved cautiously as they awaited the latest developments in US President Donald Trump's trade disputes with China and Canada. "Investors are focusing very much on US trade talks," said AxiTrader chief market analyst James Hughes. There remains a sense of nervousness after Trump said he wanted to impose fresh tariffs on a huge swathe of Chinese goods by the end of this week. "Topping investors' agenda this week is the Sino-US trade dispute and Canada... talks, which are both threatening to escalate along with... fallout as Argentina's austerity measures shake emerging markets," said analyst Dean Popplewell at Oanda trading group. On currency markets, the pound continued to struggle as British Prime Minister Theresa May faced a rebellion in her own party over a Brexit blueprint. But that created some upside in the stock market where exporters benefit from a weaker pound, helping London's FTSE index to keep a lid on losses. The troubles in Argentina, which has seen its peso collapse in recent weeks, and Turkey are further rattling foreign exchange markets owing to fears their crises could spread. "For now, most of emerging market woes can be attributed to country-specific issues," Rodrigo Catril, senior foreign exchange strategist at National Australia Bank, said in a note to clients. "But... as the Fed is expected to continue with its gradual (rate) tightening strategy and with President Trump seemingly keen on pursuing its hard line on trade policy, EM contagion risk is still alive and kicking." Elsewhere on Tuesday, oil prices jumped more than one dollar on tight production concerns, before giving up most of the gains on profit-taking. "Oil prices have rallied aggressively... on news of the immediate evacuation of two Gulf of Mexico oil platforms in preparation for a hurricane (Gordon)," said analyst Popplewell. On the corporate front, shares in advertising giant WPP slumped on mixed earnings news one day after the company appointed a new chief executive. And retailing giant Amazon's market capitalisation topped $1 trillion for the first time in morning trading on the Nasdaq.